Once a BMO Online Inventory System Malaysia account has been created, as the main admistrator, you can add multiple users or employee’s account to access the online inventory system so they can update your company’s inventory. 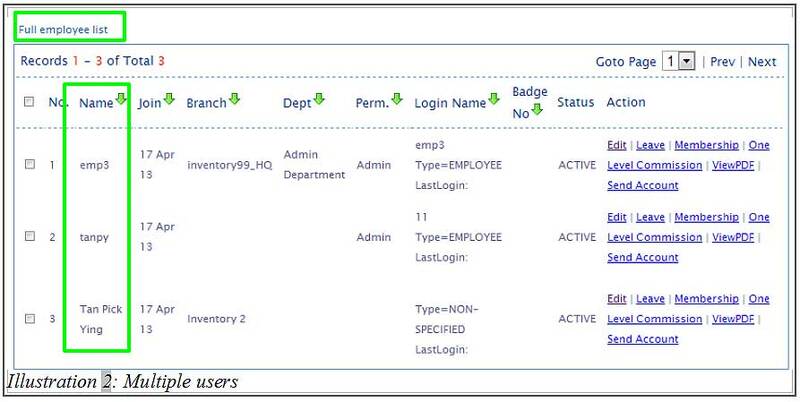 In this tutorial, we will show you on how to view a list of employees in the system. 1. Firstly, go to Employee > Employee List to have a view on employee list. 2. Now, in this page, you will see a list of employee in the system.